If the negative attitudes children pick up about people who are different from themselves are not addressed, children may hold on to this misinformation for the rest of their lives. It can impact on their willingness to accept new ideas; try new ways; taste different foods; and learn other languages. 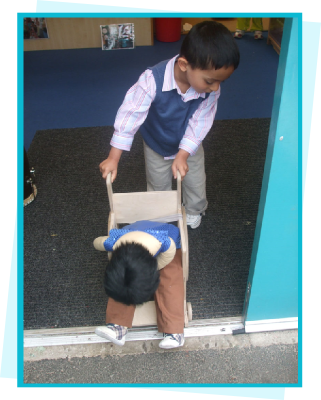 Practitioners have high expectations of each and every child and support those experiencing physical or verbal abuse. To ensure that they treat all children/students equally, they treat some differently e.g. giving special attention to those with sensory impairments so they feel included and able to contribute to the group. They build supportive partnerships with parents. Many black and ethnic minority parents feel they have to prepare their children to face discrimination while encouraging them to be whatever they want to be.